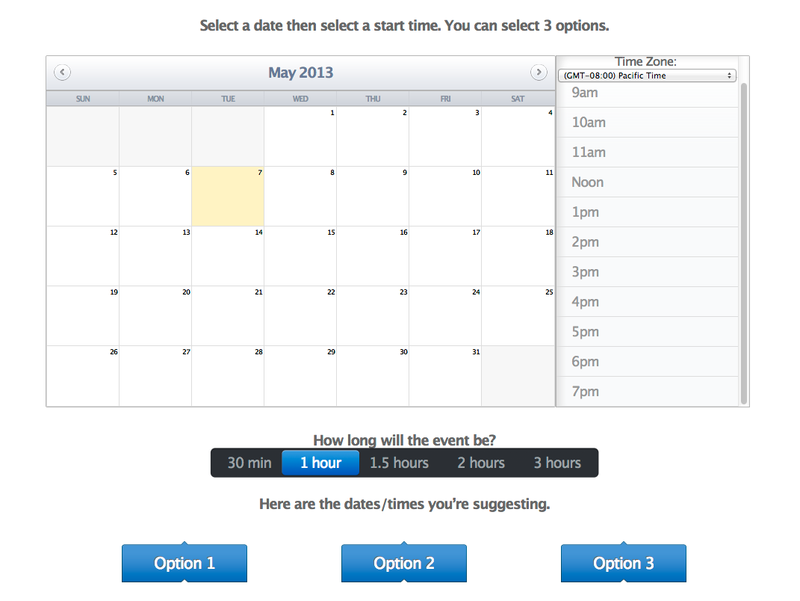 Back in 2009, Tungle.me launched to help make time management easier. Two years later, it was acquired by then-Research In Motion (now BlackBerry) before being ultimately shuttered. Some may have lamented its loss, but no longer. Atlas Powered is making its public debut on Thursday as a replacement service. While much of its functionality mirrors Tungle.me, Atlas offers some key differences, one of which is the fact that it’s a geared towards mobile devices. Atlas is launching today to the public. But while Atlas may appear to be the answers to our time management problems, it could face a lot of skepticism in the community. People have scoured the Web looking for the right app that does what they want it to do, but to no avail. 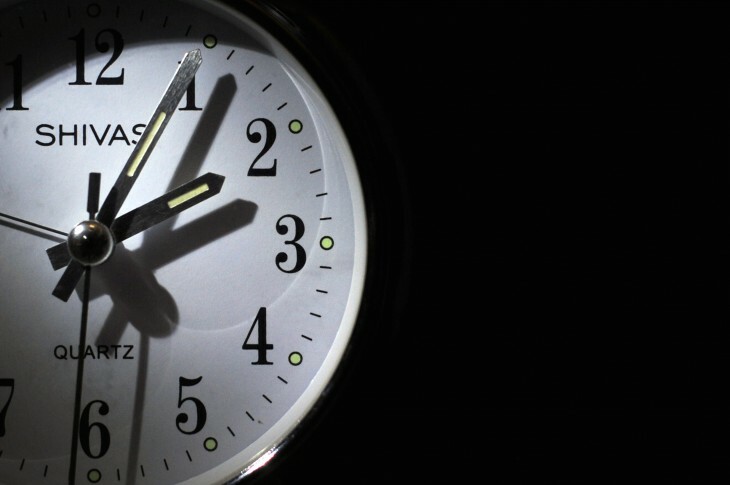 There are dozens of services that claim to help with effective time management, but the key here is whether they have a mobile component. Competitors that some might think of when dealing with this space include Doodle, ScheduleOnce, MeetingMade, and TimeBridge. Founded by Hunter Gray and Michel Bayan, this startup lets users control their entire scheduling experience right from a visually-appealing interface. The team saw that businesses were having issues with finding ways to streamline their processes and increasing productivity. Trying to schedule a meeting can be pretty close to an Olympic sport. First you have to ask someone if they’re available to meet and then trying to coordinate schedules from there can be exhaustive. What Atlas does is make it possible is to display a person’s calendar publicly (with certain details hidden) and invite people to send up to three times when they can potentially meet. The invitee will receive notification on their mobile device and can accept or decline it as they see fit. Atlas syncs in with most calendar platforms (Google Calendar, iCal, Yahoo, and Outlook), including the native one on Android and iOS devices, and the newest ones like Tempo, Sunrise, and Fantastical. The company tells us that any calendar set up on the phone will have read and write privileges. 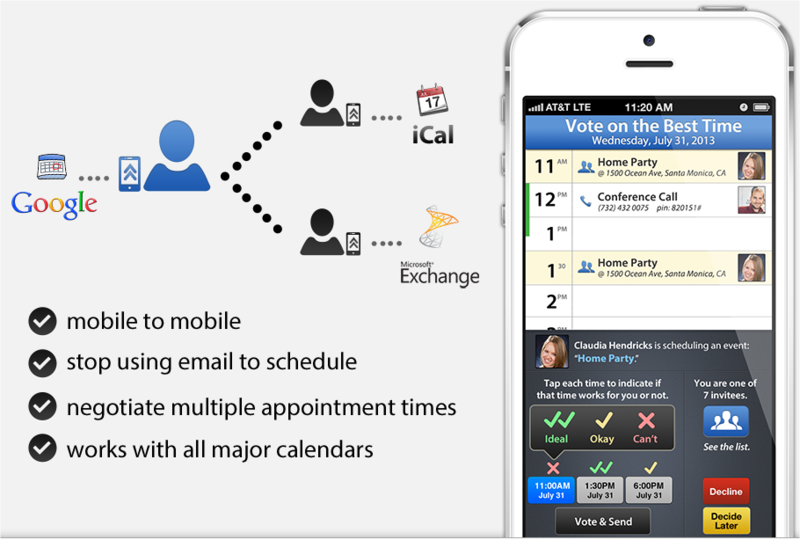 The service will facilitate the push and pull of information between the calendar and the app. Individual or group meetings can be set up right from Atlas’s Android or iOS app all without the need fo emails or attachments. Atlas is free to use, but eventually, the company said that it will start to charge a monthly subscription fee for some level of Pro usage. A premium level will cost $5 per month but both Gray and Bayan tell us that they hope users will help them determine what should be included. However, they do know that there will be “deeper, more advanced scheduling features” and may include some other surprises. Perhaps the best way to think about its monetization strategy is like with Evernote — its free version is useful to people and while upgrading to Pro will add more value, users don’t need to be at that level to use Atlas every day. Right now, for an undetermined period of time, users can sign up for the pro plan, which will provide them with a vanity URL (atlas.pro/username) that can be shared with anyone to schedule appointments using a Web browser. Unfortunately it appears that right now the Web interface is not yet mobile-optimized so scheduling from the phone’s browser is not going to be convenient for people. 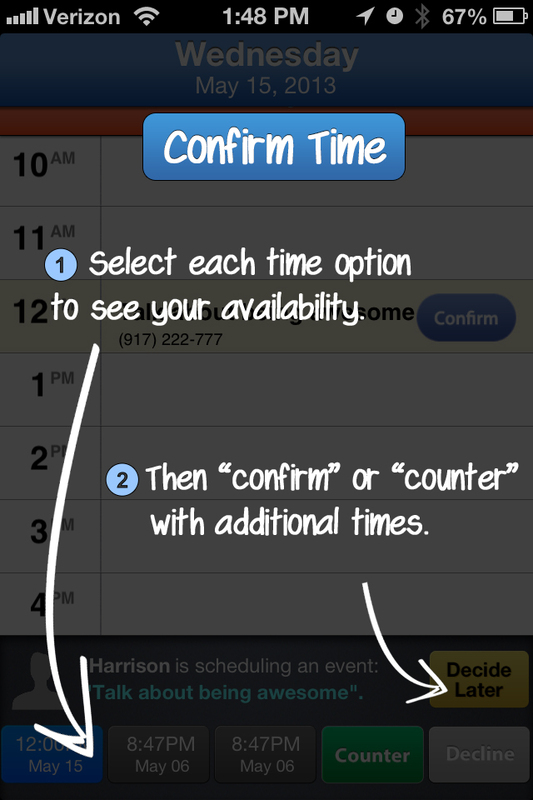 However, those who have the Atlas app installed can schedule meetings through the program. Once a meeting has been made, if enabled, a push notification is delivered to the mobile device, letting users know that someone has scheduled an appointment. The proposed event can be countered or declined. 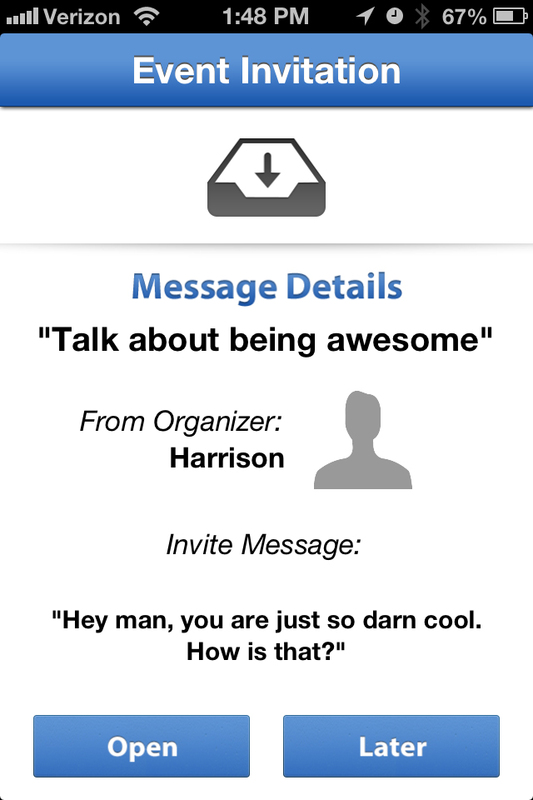 The invitee’s contact information can also be viewed, provided that it’s given. All details shown in Atlas are derived from the calendar itself. Unlike Tempo and other services, the app will not scan email accounts to extract specific information about a particular meeting. Details for each event include location and directions, local weather, and other features. Perhaps the best way to think about Atlas is your virtual scheduling assistant. For some people, like us at TNW, trying to schedule meetings can be pretty painful and time-consuming. But now scheduling can be a bit more automated — assuming that invitees don’t try and abuse the system. Atlas raised $700,000 in seed funding earlier this year from multiple investors including Tech Coast Angels, Maverick Angels, Pasadena Angels, and others. It has also raised $600,000 in angel funding. While targeting independent sales professionals, Atlas will work for anyone who is interested in trying to get their scheduling under control. And while right now it is a Tungle.me replacement, it wouldn’t surprise me if the service wound up evolving again to offer more collaboration features. Previously available in a limited beta capacity, Atlas tells us that anyone who signed up for an invite will be receiving access now. To most people’s dismay, a waitlist (a la Mailbox) will be set up — the company said this is to ensure that servers and the messaging system are tested as it scales up. It should be noted that those that gain entry will have a few invitation codes they can send to their friends. Those that sign up will automatically skip the waitlist and be activated as soon as the app is downloaded and they log in — they must use the same email address as on the invite.